The celebrations and festivities are over (for now) and it’s back to normal programming. I’ve not been online much these past few weeks (family stuff) so it’s time to catch up on all the horrible stuff out there (not necessarily in chronological order). As further details emerge of the brutal murder of an Orthodox Jewish woman in a Paris suburb at the hands of a Muslim assailant last month, French Jews are increasingly worried and angered by what one prominent member of the community called an “organized silence” surrounding the case. This story is shocking on so many levels that it’s hard to take in: the viciousness of the attack, the helplessness of the police and the stonewalling by the judicial system are each condemnable in their own right. When taken together, it is an outrageous attack on Jewish human rights. If the French really do not want to see their Jewish community fleeing en masse, they are going the precisely wrong way about it. May the memory of Dr. Sara Halimi be for a blessing and may her family be comforted amongst the mourners of Zion and Jerusalem. You can read multiple examples of this virulent antisemitism at the CAA’s post. Jewish community leaders in Great Britain expressed shock and outrage Monday after it was revealed over the weekend that UK Labour Party leader Jeremy Corbyn had attended a ceremony honoring a Palestinian terrorist partly responsible for the 1972 Munich killing of Israeli Olympians. Corbyn, who is currently campaigning to become Britain’s next prime minister, reportedly traveled to Tunisia in October 2014 to visit the grave of Atef Bseiso, the former head of intelligence for the Palestine Liberation Organization and direct accomplice involved in the Munich terrorist attack. Jewish leaders called the revelation, reported by the Sunday Times, “beyond the pale,” and demanded Corbyn make his views known about Palestinian acts of violence. “In light of today’s news reports, it is high time that Jeremy Corbyn clarify his views regarding Palestinian terrorism,” said Simon Johnson, the CEO of the Jewish Leadership Council. My question is why haven’t the Labour Party members thrown out their leader already? 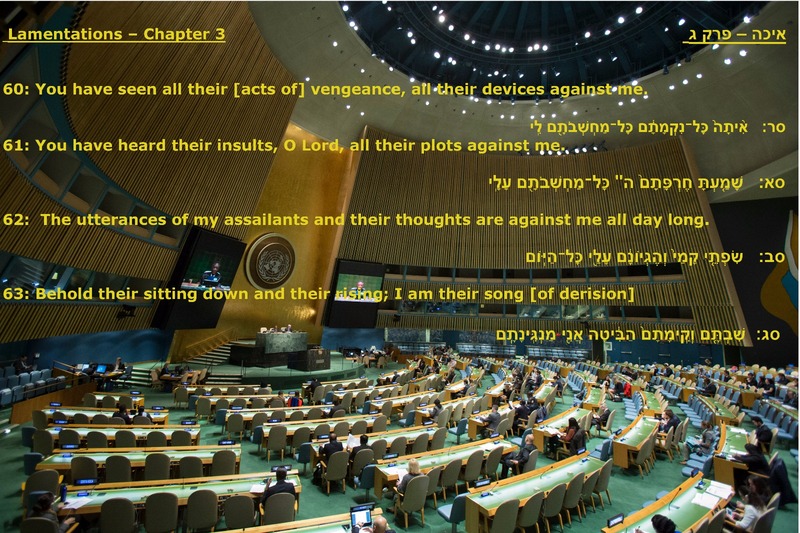 The resolution, which will cost $10 million to implement, renews the annual naming and shaming of Israel by renewing a special agenda item on the country at next year’s session, as well as mandating a report by WHO’s director-general, measures of scrutiny applied to no other country. 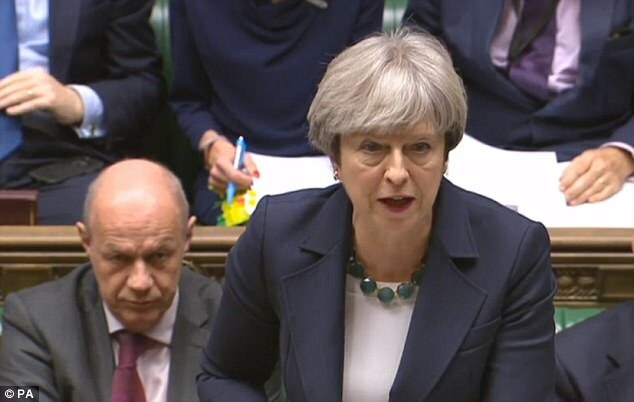 The UK changed its vote from last year, switching from Yes to No, joining Australia, Canada, Guatemala, Israel and Togo in the opposition. Those abstaining were Antigua and Barbuda, Armenia, Bulgaria, Colombia, Côte d’Ivoire, Croatia, DR Congo, Dominican Republic, Gabon, Haiti, Honduras, Hungary, Iceland, Latvia, Malawi, Mexico, New Zealand, Panama, Saint Kitts and Nevis, East Timor, and Tuvalu. 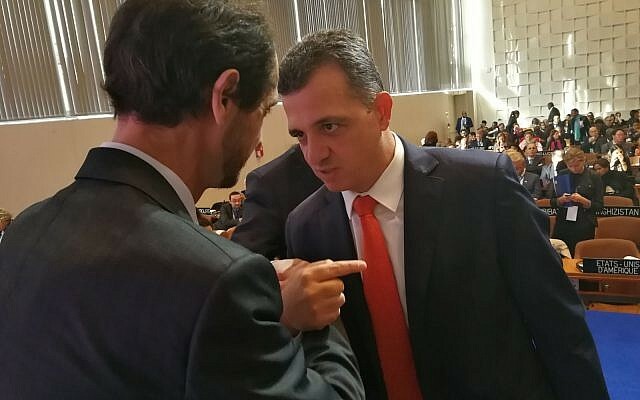 “For the U.N. to allow Syria’s Assad regime to influence its focus on health conditions is absurd,” said Hillel Neuer, executive director of the Geneva-based UN Watch, a monitoring group accredited with consultative status at the United Nations. It is staggering to think that anyone, even the UN, would bow to Assad’s Syria rather than listen to the EU and other Western countries. This leads me to wonder what hold has Assad got over the WHO? I think an international investigation should be started. 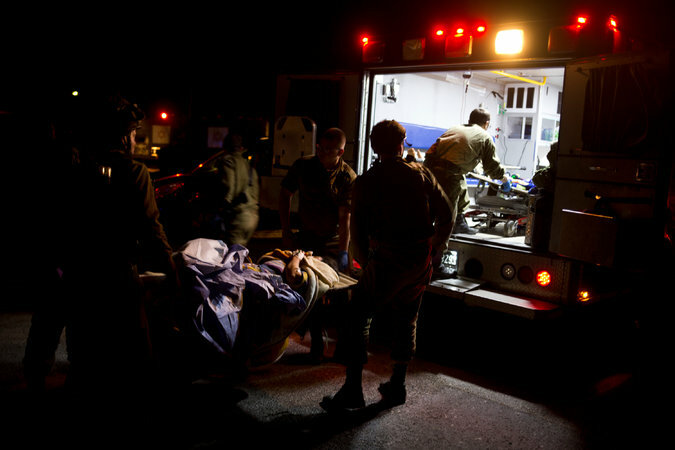 It boggles the mind to think that Syria should take precedence over the West – even if Israel is part of that region. Then again, is anyone really surprised? 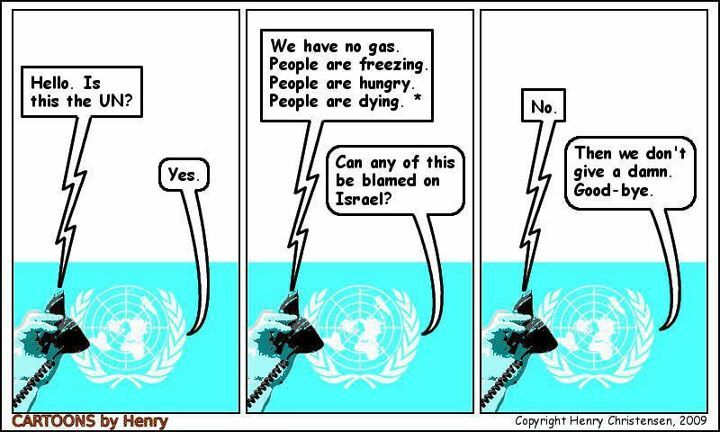 The UN has no use at all except to promote global warming through all the hot air it generates. 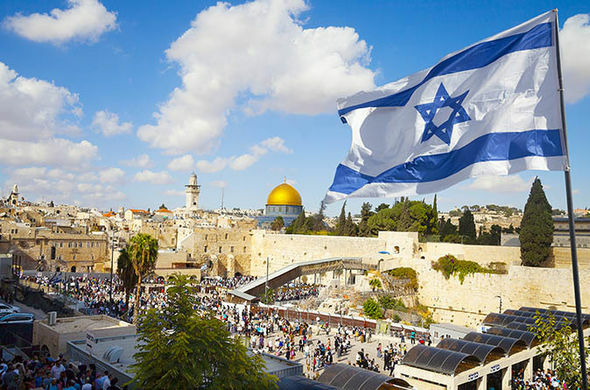 It therefore comes as no surprise at all that the Palestinians should consider the UN the right place to turn to in order to complain about the “Judaization of Jerusalem“. Please stop guffawing. Yes, I know that’s like complaining about the Catholicization of the Vatican or the Islamization of the Ka’aba, but you know the Palestinians – never accepting reality, even when it bites them on the nose. Since we’re on the subject of compulsive, repetitive antisemitism, here is our old “favourite” the (British) Universities and Colleges Union (UCU) doubling down on their previous resolution in 2011 to reject the then-accepted international definition of Antisemitism, the EUMC working definition of antisemitism. That definition has now been updated into the new International Holocaust Remembrance Alliance (IHRA) working definition – and the UCU, true to form, has once again rejected it. You see, they obviously know better than the Jews what antisemitism really is – and according to them it has nothing to do with them at all! After all, if they “only” hate Israel, they can’t possibly be antisemitic! An academics’ union has passed a motion distancing itself from a controversial new definition of anti-Semitism at its annual congress. University and Colleges Union (UCU), which has 110,000 members, rejected the new International Holocaust Remembrance Alliance working definition, because it “conflates anti-Semitism with criticism of Israel”. Simon Johnson, chief executive of the Jewish Leadership Council, said the motion was “an attempt to discredit the IHRA definition of anti-Semitism” and while “deeply offensive,” he said it came as no surprise. “UCU has a history of attempting to define anti-Semitism on behalf of the Jewish community as opposed to consulting with them,” he said. These smug, self-righteous bigots wouldn’t dream of telling blacks what racism really is, or telling Muslims what Islamophobia is. The only acceptable racism in British academia today is antisemitic racism. And yes, I do include anti-Israel racism in that, for you cannot deny the Jews what is acceptable in any other race: the right to define for themselves what is hatred against themselves. For its June 1st commencement, The CUNY School of Public Health and Health Policy has invited Linda Sarsour. Sarsour’s record is replete with anti-American values, degradation of feminists and others who disagree with her, unbridled hatred of the State of Israel and those who support it, and the promotion of violence. This shocking choice of speaker, by a City University, should be changed. In the United States, violence and terror are not recognized as legitimate means to accomplish goals. 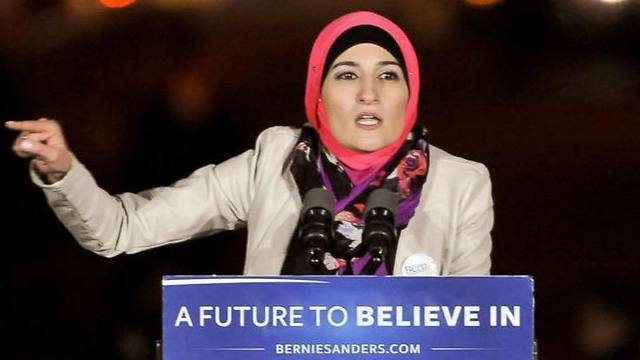 Sarsour’s support of violence and terror include: praise of the intifada- the Palestinian terror war against Jews in Israel, through suicide bombings, car rammings, stabbings, bus bombs and other attacks,—as “invaluable on many fronts;” warm words of endorsement for convicted murderer Rasmea Odeh, who murdered two college students in a supermarket bombing in Israel (Odeh will be deported for concealing her terrorist crimes on her US immigration forms); and admiration of Palestinian youths throwing rocks at Israeli soldiers as “the definition of courage.” In our civilized society, these are the definitions of crimes. Sarsour supports barbaric methods that are incompatible with American law. Regarding feminism, a woman’s right to bodily integrity is a fundamental right. Yet Sarsour denigrates feminists who speak out against the role Islam plays in tolerating the abuse of women, such as genital mutilation and honor killings. She urges, in a tweet, a “whippin” of Somali human rights activist Aydan Hirsi Ali, a victim of female genital mutilation, who speaks out against Islam’s acceptance of abuse of women. Sarsour tweets Ali doesn’t “deserve to be a woman.” Sarsour’s attempted delegitimization of women who speak out against abuse is incompatible with feminism. Additionally, Sarsour defends Saudi Arabia’s oppressive treatment of women. In Saudi Aarbia, women cannot vote, study, work, marry, or open bank accounts without permission from male guardians. Women’s clothing is strictly regulated (they must be covered from head to toe, and only eyes and hands may show). Yet Sarsour tweets Saudi Arabia “puts us to shame” by providing “10 weeks of PAID maternity leave … and ur worried about women driving.” Sarsour’s defense of subjugation of Saudi women disqualifies her as a feminist. Ironically, Sarsour excludes Jews and other Israel supporters from the feminist movement. This is anti-Semitic and spreads a lie about Israel’s treatment of women. There is absolutely no conflict between Zionism and feminism. In Israel, the only democracy in the Middle East, all citizens have equal social and political rights, regardless of gender, religion or race. All citizens of Israel, be it Arab, Christian, or Jew, no matter what gender, have equal access to voting, transportation, hospitals, universities, swimming pools, public restrooms, etc. Israeli Arabs are Supreme Court Justices and have seats in the Knesset, and these positions can be held by men or women. Israeli Arab women have won or been runner-ups in The Voice (Israel), Master Chef, and Miss Israel. Moreover, sexism and discrimination perpetrated by Palestinian men against Palestinian women is pervasive, as described in a recent New York Times article, “In Gaza, Bicycles Are a Battleground for Women Who Dare to Ride,” February 22, 2016. CUNY in particular should be sensitive to anti-Semitism. Last year, Jewish students at CUNY suffered many anti-Semitic incidents. At a CUNY rally sponsored by Students for Justice for Palestine, protestors screamed at Jews to “go back home and get the (expletive) out of my country” and chanted “Jews out of CUNY” and “death to Jews.” Given these recent events, it is all the more appalling that a CUNY school would invite a divisive person with Sarsour’s record to deliver the commencement address. Knowing all this, CUNY’s refuses to rescind Sarsour’s invitation. It would be atrocious for CUNY to host a commencement speaker with a history of bigotry towards the LGBTQIA community, African Americans, women, or Hispanics. CUNY should treat Sarsour’s hate-mongering towards Jews and Israel in the same manner. Last September, I stood along with many of my colleagues at a New York City Council Public Hearing on that body’s resolution to officially condemn the BDS movement — a hearing at which all those in favor, including myself, were shouted down as “Jewish pigs” and “Zionist filth” from provocateurs strategically placed in the audience. It was Linda Sarsour who was at the forefront — manipulating the camera shots and sound bites. It was Linda Sarsour who sat for hours listening with great satisfaction to the libelous rants and screamed obscenities alleging that Israelis murder Palestinian babies. It was Sarsour who nodded approvingly and congratulated individuals who were kicked out of the hearing room for being out of order, for walking in front of individuals providing testimony in support of the resolution, and for shouting down our supporters with anti-Semitic slurs — all in the name of protecting free speech. However, inviting an obvious antagonist of the world’s largest Jewish community outside of Israel, an individual who doesn’t shirk from using controversial tactics against Israel’s supporters, to speak at CUNY is a bewildering act by its leadership sure to inspire only more hate, harassment and confrontations perpetrated against the Jewish student body. CUNY’s invitation to such an individual, an invitation I remind you not requested by students but rather by the administration itself, will provide cover to those seeking to legitimize her message. Her commencement speech belies CUNY’s stated commitment to fighting anti-Semitism. CUNY owes an explanation and a huge apology to its Jewish students and alumni – but I doubt any will be forthcoming. For shame! 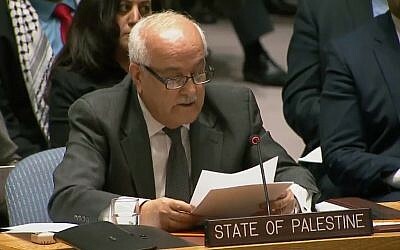 The Trump administration is under fire after it blocked the appointment of a well-respected former Palestinian prime minister to a senior UN role seemingly because he is a Palestinian. Salam Fayyad, a Western-educated technocrat, won plaudits from Israeli leaders and from the Bush administration for his reform efforts when he served prime minister of the Palestinian Authority in the late 2000s. The 65-year-old had been tipped to become the new UN special representative in Libya, a role that would have nothing to do with the conflict between Israelis and Palestinians. 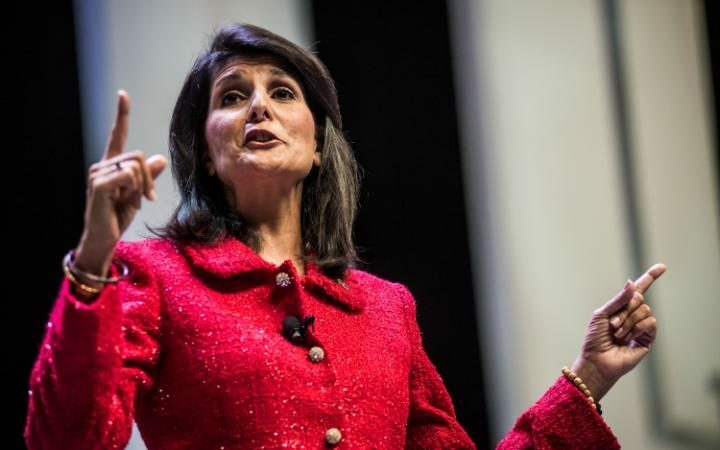 But his prospects at the job appear to have been dashed after Nikki Haley, the new US ambassador to the UN, objected to his appointment out of support for Israel. The United States was disappointed to see a letter indicating the intention to appoint the former Palestinian Authority prime minister to lead the UN Mission in Libya,” Mrs Haley said. Dan Shapiro, Barack Obama’s ambassador to Israel, called the decision “stunningly dumb”. “Every US official who worked with Fayyad knows him to be serious, clean, and a pro. So what if he’s Palestinian?” Mr Shapiro added. Martin Indyk, a former US special envoy for Israeli-Palestinian issues, called the move one “of the most anti-Israel decisions Trump could take”. 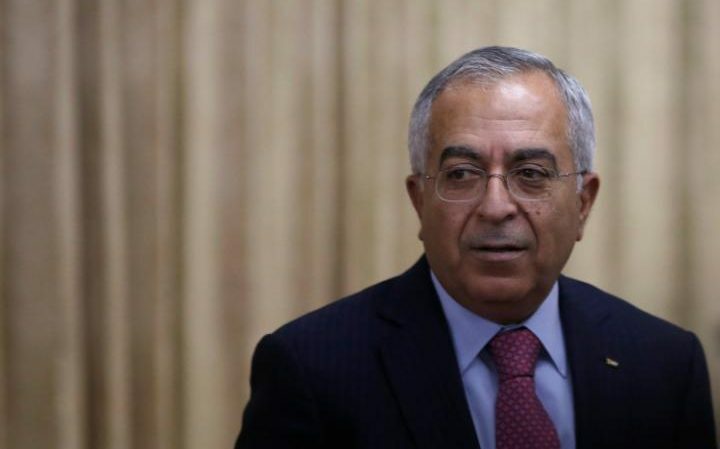 The Palestinian Liberation Organisation, the official international representative of the Palestinian people, said the decision to block Mr Fayyad was “blatant discrimination against him on the basis of his nationality”. The decision comes ahead of a meeting between Donald Trump and Benjamin Netanyahu, the Israeli prime, in Washington this week. 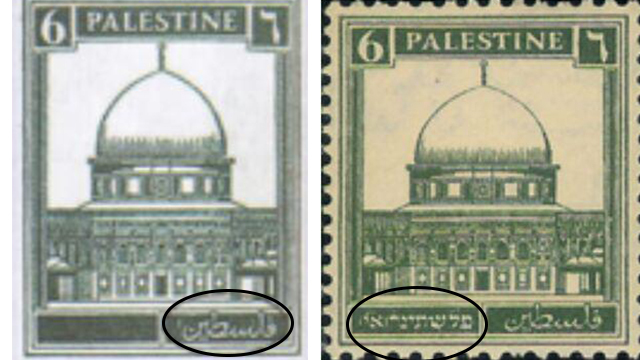 UN-run schools in the West Bank and Gaza use textbooks which negate the existence of Israel; teach Western Wall, Cave of the Patriarchs are exclusively Muslim holy sites which the Jews strive to occupy; stamps from the British Mandate period are doctored to remove the Hebrew. Also, children at UNRWA schools are taught that the Arab massacres of Jews in 1929 (specifically in Safed, Hebron, and Jerusalem) was called the “al Buraq revolt,” and was carried out to keep the Jews from conquering and occupying these holy cities. Additionally, there is no reference to the presence of Jews in Israel, with Jewish cities and towns established after 1948 erased from the maps given to Palestinian children. Tel Aviv, originally named after the Hebrew title of Theodor Herzl’s book Altneuland, is re-named “Tel al-Rabia.” The word al-rabia means the season of spring in Arabic. 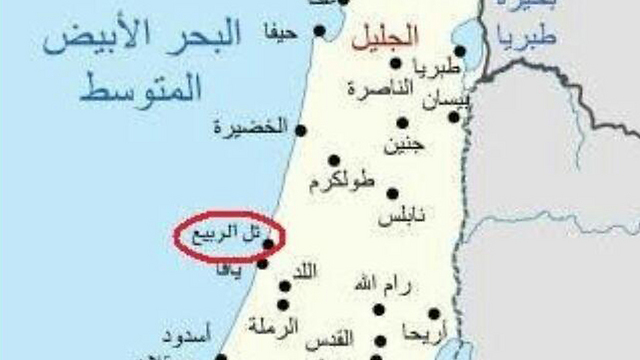 Incitement in Palestinian textbooks is well known and documented. Palestinian President Mahmoud Abbas has spoken about the issue several times, and has agreed to be a part of a joint Israeli-US–Palestinian committee to design new textbooks. However, this committee has yet to meet. The research was conducted by the Center for Near East Policy Research, and was published less than two weeks after the UN Security Council resolution declaring construction and settlements in the West Bank and eastern Jerusalem illegal. UN schools were previously used as Hamas weapons storehouses during Operation Protective Edge.